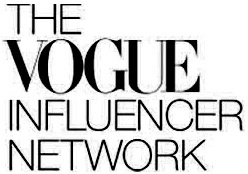 Discover the system I used to gain access to New York Fashion Week, build two successful beauty brands, and cultivate a blogger audience of fashionpreneurs! Sign up now to receive FREE access to ‘The Blogger’s Blueprint’ series. In addition, you’ll get surprise deals and my weekly Fashionpreneur Newsletter, a $197 value! Who’s this book for? This is a must read guide for every young person who wants to succeed and every adult who wants to aid them in their success! In this candid story, Ariana Pierce shares personal life lessons and proven secrets to becoming a successful entrepreneur. From chapter to chapter, Ariana shares real experiences to unveil how she relentlessly pushed past constant challenges and quieted the naysayers as she evolved from schoolgirl to girl boss. Nothing withheld, Ariana opens up for an intimate look at her struggles to pinpoint purpose in life, fight to balance her body weight and search for acceptance–all while facing bullies and juggling school with her role as CEO of her own company. In her most intimate work yet, Ariana proves that life’s disappointments, distractions, delays and denials are no match for one’s discipline and determination to succeed. Ariana passionately believes that it’s your time to create your own story and build your empire and has written this book to help you do so. Packed with personal tips and activities to complete on your own at the conclusion of each chapter, Skip the Party Start a Business is an interactive guide to young millennials and entrepreneurs of all ages, compelling and empowering them to start living their dreams now, not later. 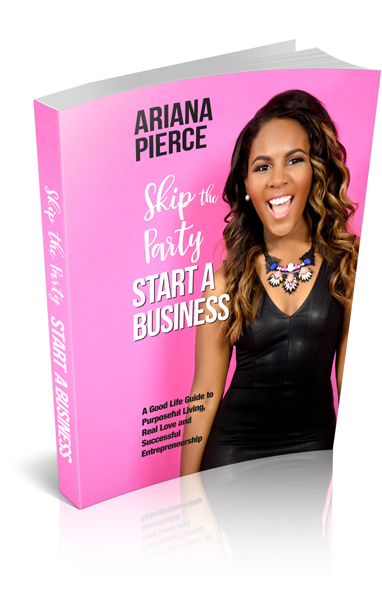 Click here to order the Skip the Party Book now! Around the World in Style: Travel JournalDo you have a passion for travel? 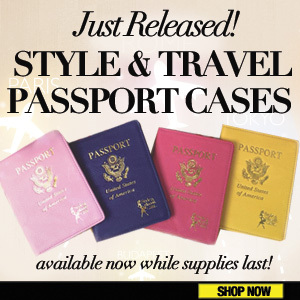 This is the perfect complement for your Style & Travel Passport Wallet. This beautiful journal will let you pen your travel memories in style! There are journal pages that should be used to document where you have been. Remember, keeping memories will always reward you down the line. 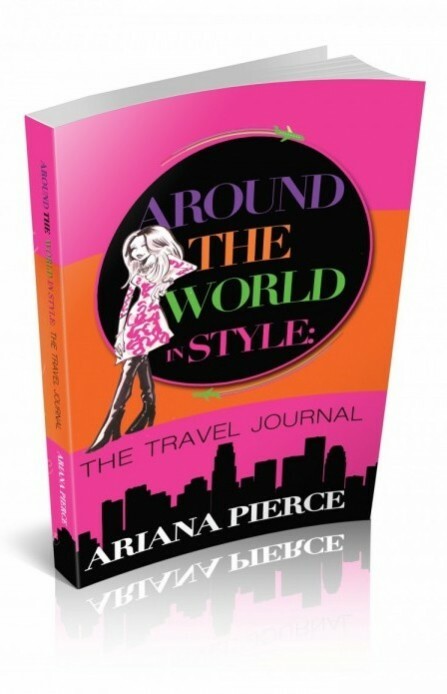 Click here to order the Travel Journal now! I have a business and I need a blog, now what? 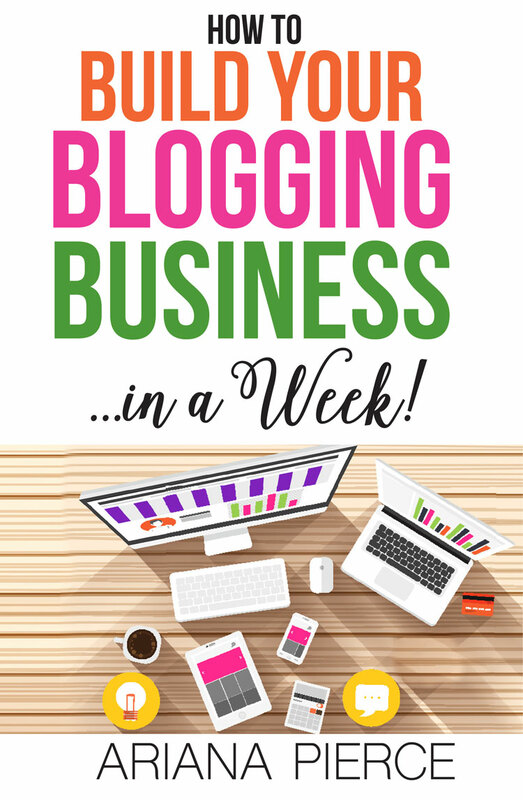 Ariana Pierce’s new book will give you the step-by-step strategies on building a blog that will bring profits. Click here to order this all-new book now! 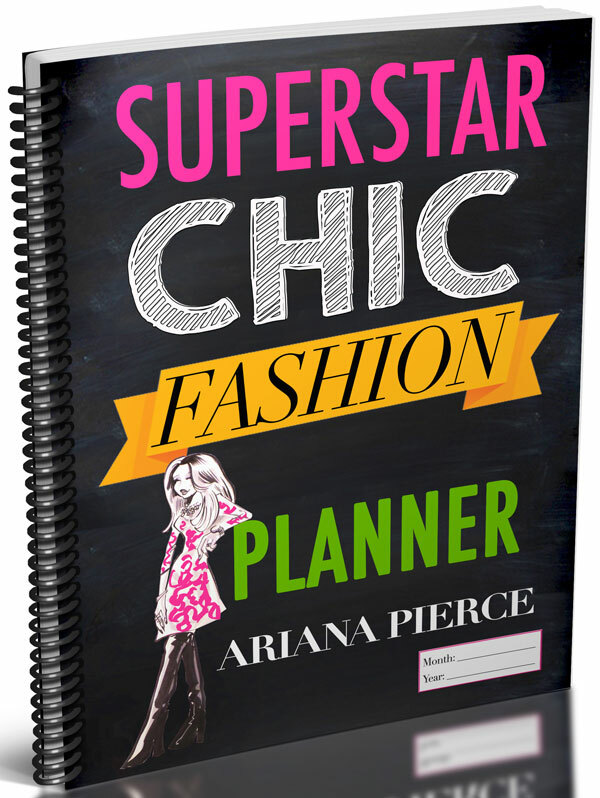 The Superstar Chic Fashion Planner Your step-by-step guide to the day-to-day wardrobe routines and written practices that have led to my success. I designed this journal to help you make your mark and fulfill your dreams one chic day at a time. Ariana Pierce’s 30 Days to Making It Kit unlocks the secrets of successful young people. These groundbreaking principles are guaranteed to lock into your passions and start building your empire NOW. The truth of the matter is that it takes work, drive, focus and passion—and lots of it—to make it in life. Donald Trump mentored your child personally for 30 days and shared his success secrets with her. Ariana, young entrepreneur and scholar is HERE to help your child. Whether you want to raise your confidence, take charge of your life, become a people-magnet or follow your dreams, this kit contains the answers you have been looking for. Get started on your SUCCESS TRACK now by clicking the button below and placing your order. You can be coached to success and Ariana Pierce will show you how. As an accomplished CEO of several companies, author and actress, all before the age of 20, Ariana Pierce is no stranger to juggling multiple roles, balancing work and school – all while pushing toward her goals. She has achieved incredible success and you can too. This 30 day program is the ultimate daily guide to the actions and attitude you need to make your dreams come true. Whether you desire to make it in the music industry, modeling, acting or just get through college, Ariana Pierce shares her tried and true secrets to succeed in make it in life. Learn to turn your ordinary online presence into an extraordinary system for making money and increasing your influence and popularity. 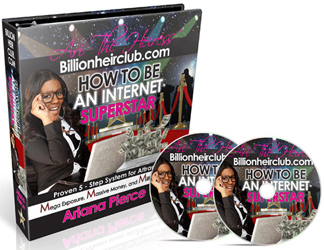 In How To Be An Internet Superstar, I show you step-by-step, how to use my proven system for successful internet business. Whether you are trying to start an online business, need an online presence for your existing business, or just need to reach more people online, this system is the solution that you’ve been looking for. I encourage you to take action now. The 5 steps that will change your approach to online business and drastically up-level your income. How to focus in on your niche and be clear on what you do and who you service. Everything you need to know to properly set up your online business and begin making money while you sleep. How to make money while you sleep with my Superstar CEO systems. …just to name a few.